Pastor George greeted us with an energetic and firm handshake but his smile was what drew my attention, no doubt it had brightened many past days! His suit was well worn but freshly pressed; road dust dimmed the shine of his shoes implying the length of their journey that morning. He introduced Grace with fatherly pride and watched her tenderly as she sat. She seemed serene in her proper somewhat formal attire, a hint of sadness – or was it fear, maybe shame showed in her eyes as she slowly began unwrapping the bundle in her lap. As she uncovered a beautiful brown face with bright eyes, her own eyes took on the look that only a mother can have for her child. All was well for at least a moment as mother and son locked eyes. The journey with Emma began the day he was born. The joy of hearing the cry of her newborn son was replaced with confusion as she saw his intestines laying on the outside of his small squirming body. Fear of the unknown was quickly partnered with a determined-love and Grace decided then and there that she would find a way to provide whatever her son needed. No matter what. But, no matter what didn’t seem to work. Despite her best efforts Emma continued to lose weight and Grace could not keep up with the growing needs of his complicated condition. 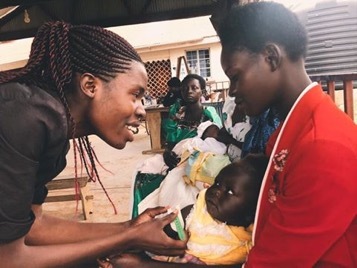 She took all the money she had saved from her work as a tailor and went to a hospital near her home village of Lamoto, leaving her husband at home with his new second wife. At the hospital, Emma did not improve and soon she was left without a single shilling. 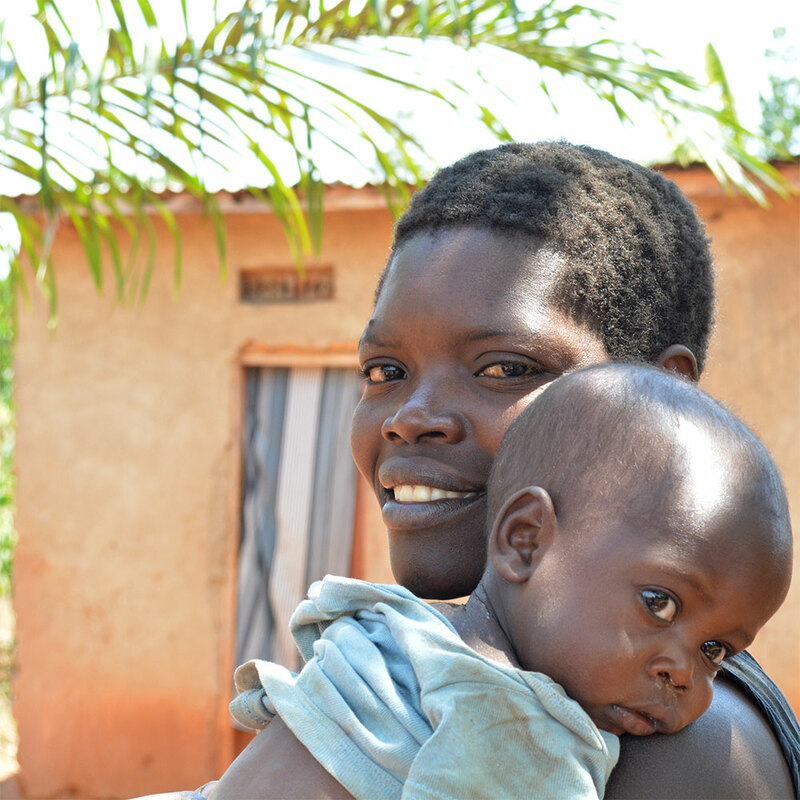 With no resources to pay for medical care, Grace found herself back home watching her son become weaker with each passing day. But Grace was not unnoticed in her community and word of her struggle to save her son reached a local pastor, George. Pastor George, not one to passively watch someone in need, stepped in to help. Through his connections in the district he had heard of a place that could possibly be just what this family needed. 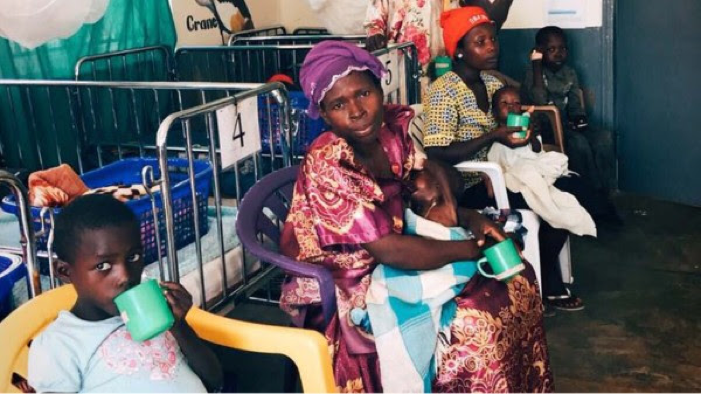 He had been told that Serving His Children had helped many malnourished children, even one with the same strange condition that was causing the decline of this baby. After making some calls, he traveled with Grace to Jinja town to see if Serving His Children could help. As the brightly colored woven blanket was pulled away from Emma’s small face there was no question in our minds that this little family would be climbing into our land cruiser the next morning for the two-hour drive to Kigandalo Health Center. There he would be welcomed by our medical team who would evaluate Emma’s condition and begin the rehabilitation process necessary to prepare him for the many surgeries ahead. This was the beginning of another chapter, one of healing and restoration, one that Mama Emma would not do alone. Today, Mama Emma can be seen quietly moving around our unit sweeping, passing out food, washing dishes and offering help to new, timid mothers. This small but fierce family continues to journey. A story that began so long ago with the cries of a baby will surely end in beauty because of the bravery of a young mother.